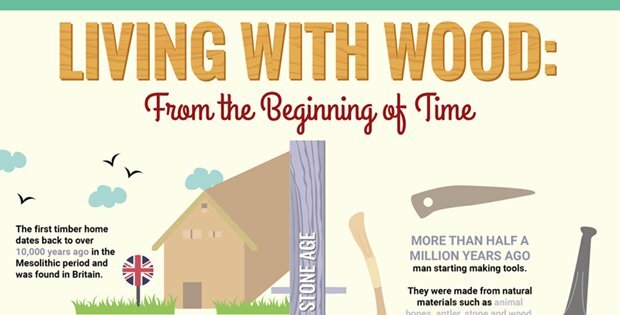 Here’s an interesting “infographic” about wood from our friends over at Log Cabin Hub – including its role in the history of civilization, importance in construction, and in general how it has evolved and help evolve the existence of mankind. It’s a quick must-read, full of relevant facts and interesting trivia with a light-hearted approach to an important issue, and a profound underlying message for us all. So go ahead and take a look, then tell us what you think on our Facebook Page! [VIDEO] Treehouse Feud – What’s the Big Deal? Want a Rental Cabin Like This One?